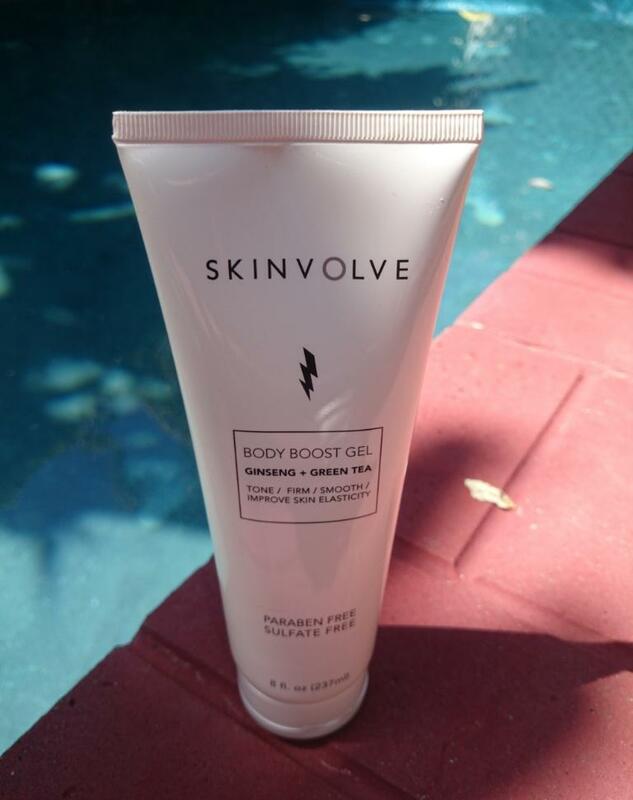 As I get older I’m more curious about products that slim, tone, and help to reduce the appearance of cellulite, and stretch marks after frequent use. I was super excited when Skinvolve sent me their Starter Kit products. It includes a Body Boost Gel and Body Karate Cream, which work together to tone skin, fight cellulite, and hydrate. The products smell so good I was ready to lather them from head to toe. 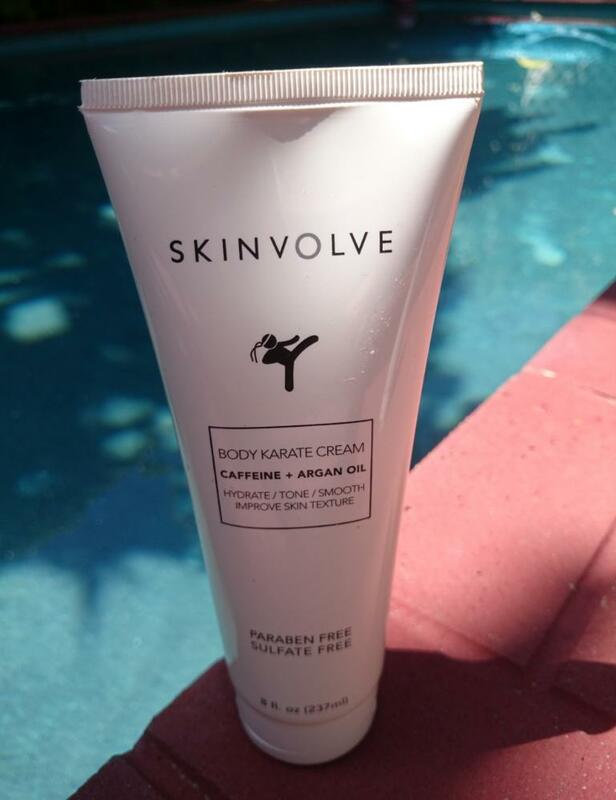 Skinvolve is made in the good ole USA! They are paraben free, sulfate free and cruelty free – and comes packed with ginseng, green tea, aloe vera, guarana, vitamins a, b, c, e, caffeine and argan oil. Each tube is 8 oz., approximately a one months supply. Aloe Vera – Rejuvenates and regenerates new tissue. WAM! Menthol – Stimulates blood flow while cooling the body, soothes sore muscles and speeds up recovery. BAM! Ginseng – Contains phytonutrients to stimulate and activate the skin’s metabolism and aids in collagen production. Thank you, ma’am! Green Tea – Fights free radicals and reduces inflammation. Sensei told you so. Guarana – Aids in increasing blood flow with a high concentration of caffeine. Zing! Pure Caffeine – Helps burn off the deposits of fatty tissue that cause cellulite as well as being packed with antioxidants. Zoom! Argan Oil – Hydrates and softens the skin with its high vitamin E and fatty acid content. Kaboom! 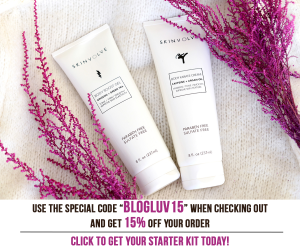 If you want to try Skinvolve’s products, here’s a 15% off coupon code plus shipping is FREE in the U.S! Make sure you follow them on Instagram for daily inspiration and updates. 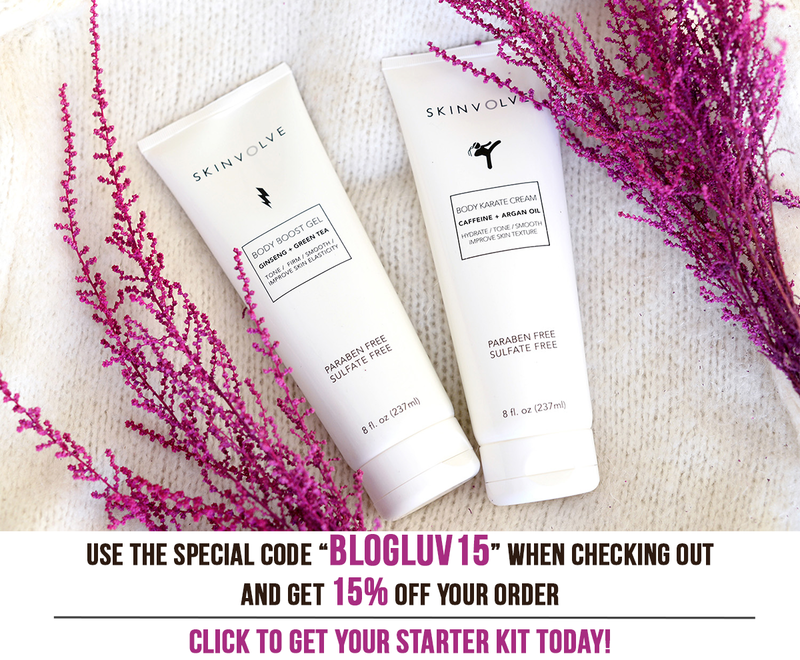 Disclosure: Starter Kit was provided by Skinlove to experience their products first hand. The opinions above are my own and were not influenced in any way.